The very name Lakshadweep means a hundred thousand islands. The islands are about 250 miles / 400 kms from the Malabar Coast of India and are bordered by snow white coral sands and are sparsely populated. 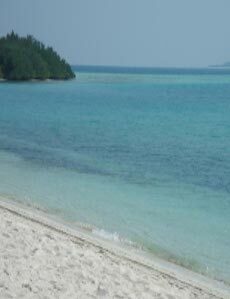 There are 36 main islands in all forming an archipelago of unsurpassed beauty. 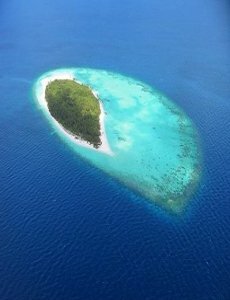 The Maldives located south of India`s Lakshadeep features 1,192 islets roughly two hundred of which are inhabited. Sun, sand and sea, many `Robinson Crusoe` islands, massive lagoons with different depths and infinite hues of blue and turquoise, dazzling underwater coral gardens; a perfect natural combination for the ideal tropical holiday destination. From a selection of resorts from the most luxurious to seaside cottages; find that perfect stretch of beach and blue water where you can let all your cares drift away on warm tropical breezes. However there is more to the Maldives than just that. The Maldives has long been a melting pot for African, Arab and South East Asian mariners. It is also the smallest predominantly Muslim nation in the world. Male` its capital would certainly count as one of the smallest in the world in terms of its physical size. The Maldives is famed for its rare underwater beauty. The profusion of psychedelic colours and the abundance and variety of life underwater have fascinated divers and snorkellers since Maldives was discovered as a diving destination.